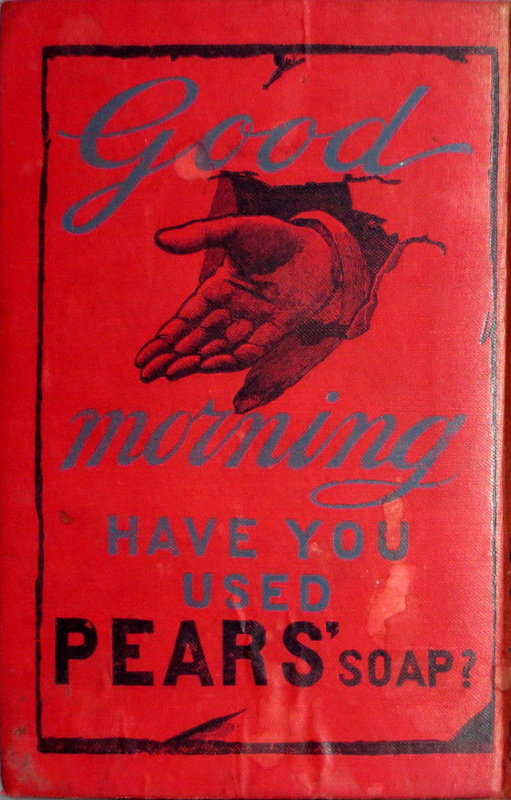 "Good morning. 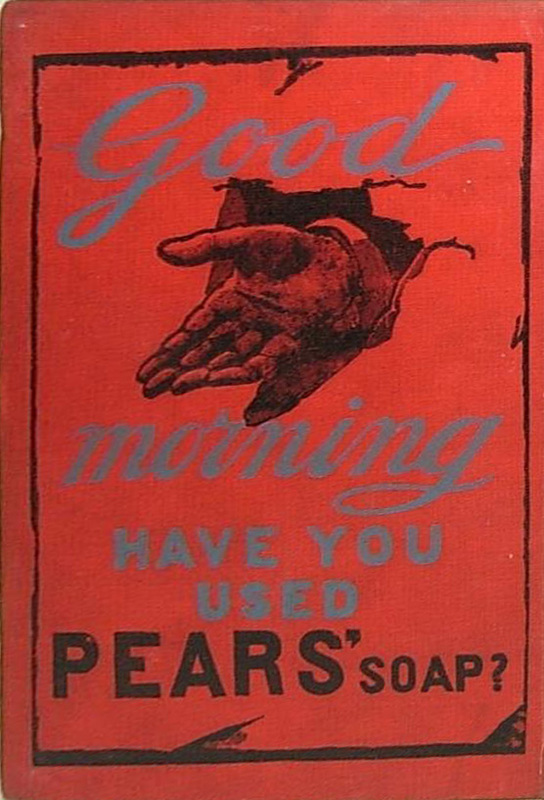 Have you used Pears' soap?" 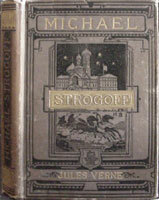 Between 1883 and 1910(?) 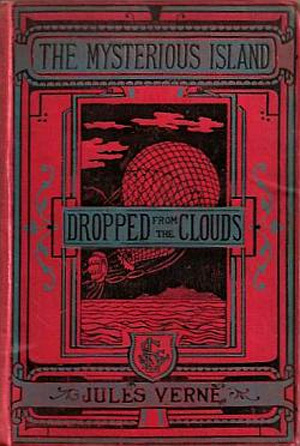 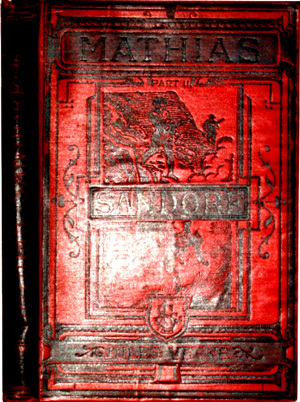 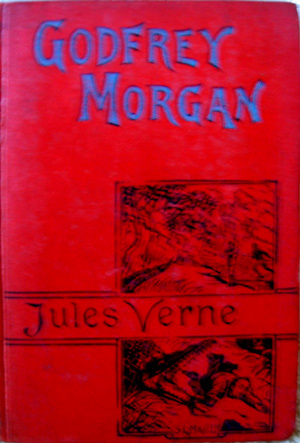 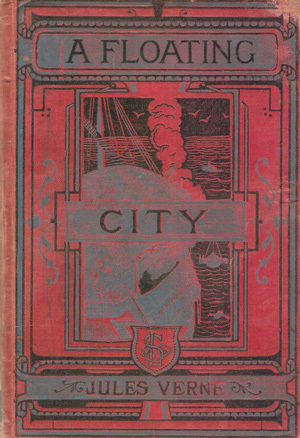 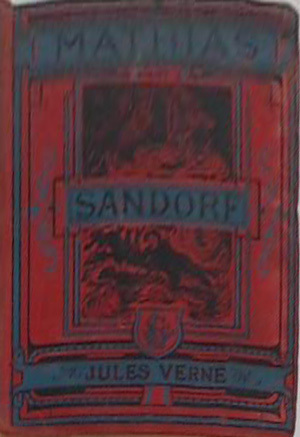 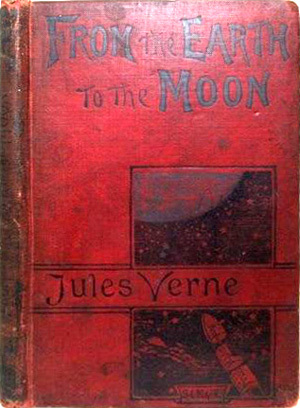 Sampson Low, London, issued a set of 39 Jules Verne titles, with a distinctive red cover, and on the back cover was a Pears' Soap advertisement, asking: "Good morning. 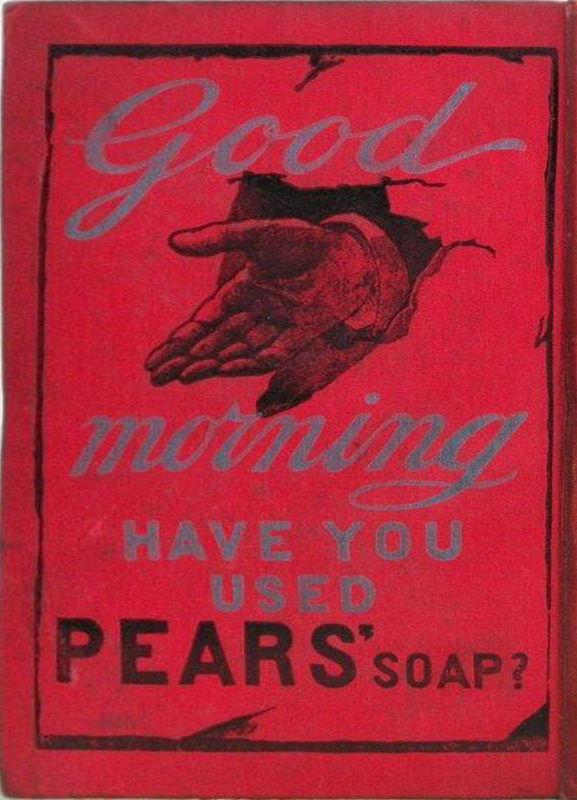 Have you used Pears' soap?" 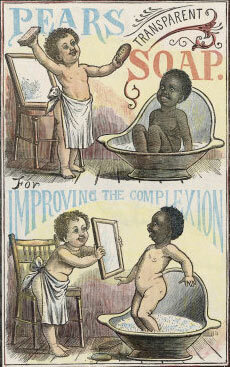 Pears soap had many controversial ads, and campaigns, related to the breadth of the British Empire, and the "whitening" of the colonies. 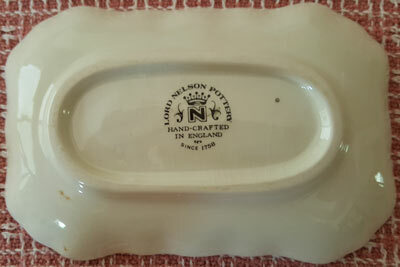 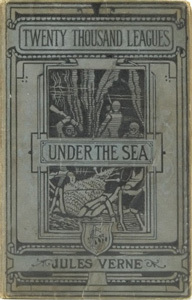 See a description of this below the listing of the covers! 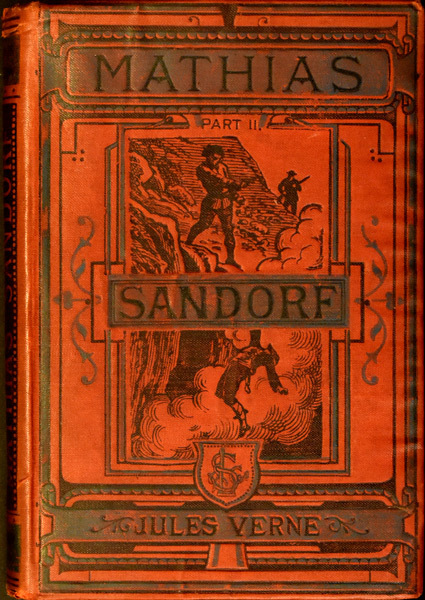 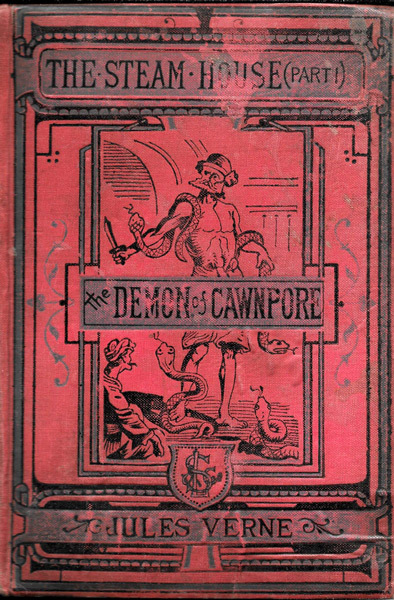 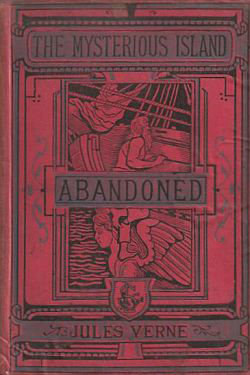 The editions were sometimes identified on the title page as "Authors Illustrated Edition" or "New and Cheaper Edition"
The "Authors Illustrated Edition" was a bit of a misnomer, as those volumes contained very few illustrations (7 - 9, including the Frontice). 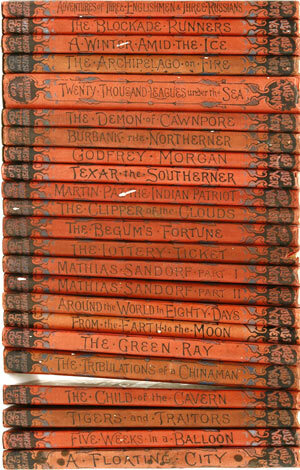 I guess 7 illustrations is better than no illustrations. 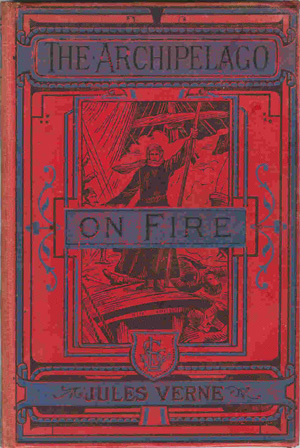 There were 2 cover styles issued. 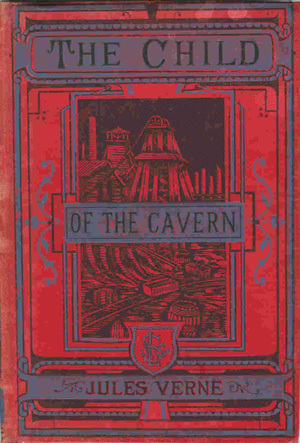 ed: I'll call this "Cover style plain". 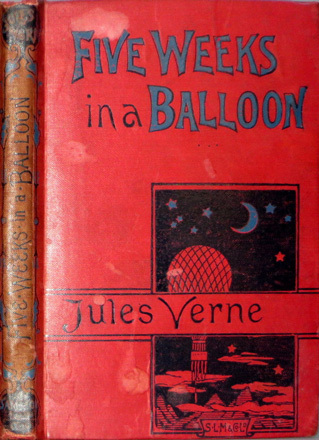 ed: I'll call this "Cover style banner". 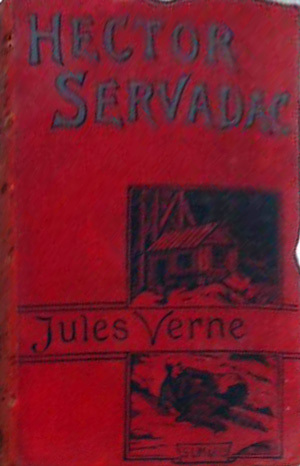 This variation in red has a pears ad on the rear cover. 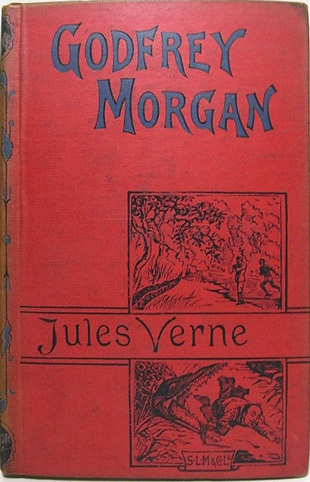 If you see this cover in another coloour, it will not be a pears. 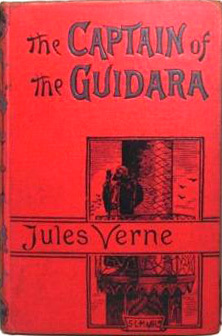 If you see this cover with gilt in another colour it is will not be a pears. 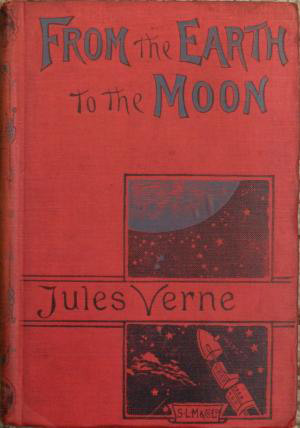 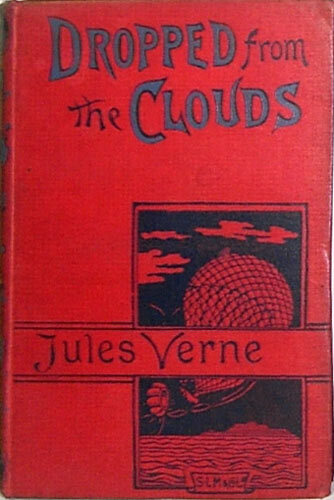 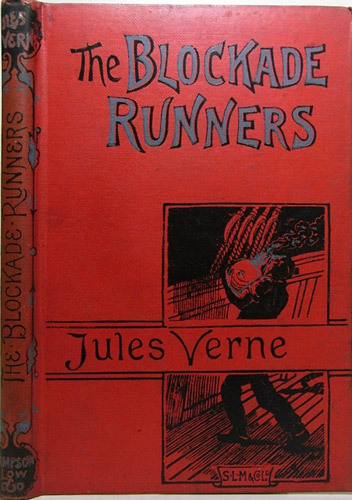 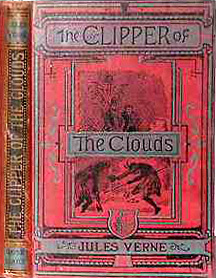 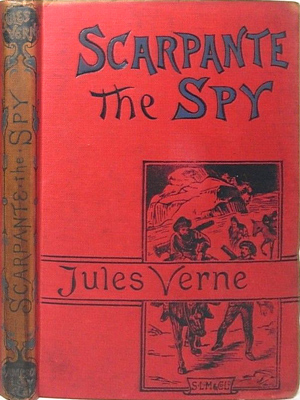 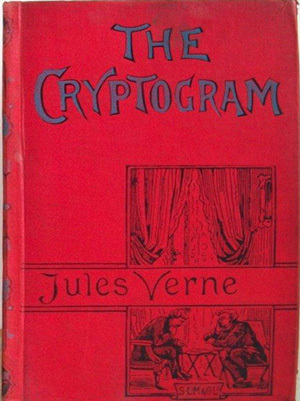 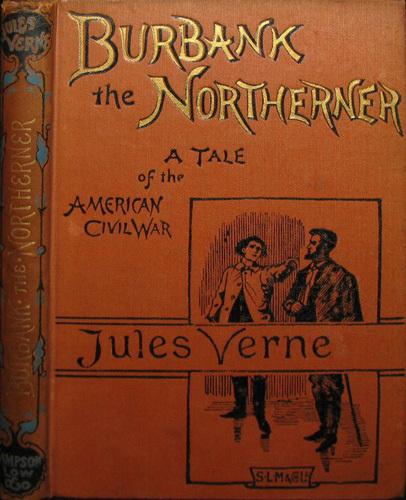 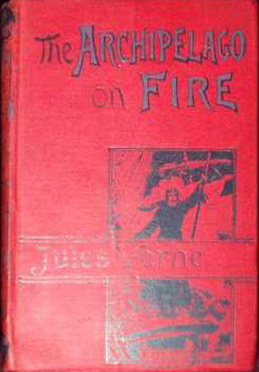 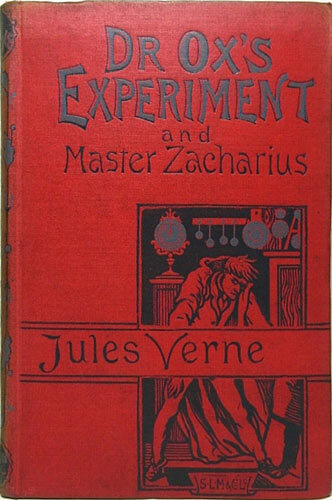 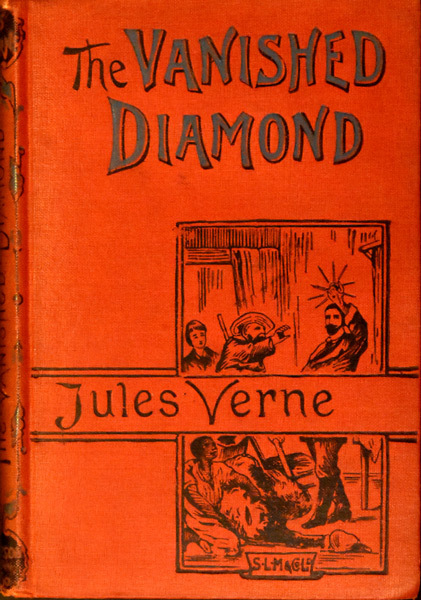 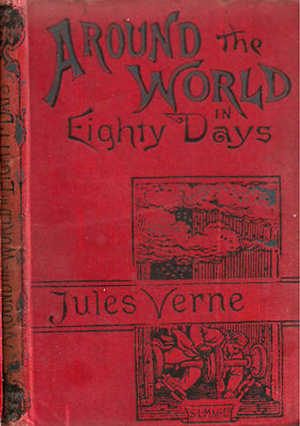 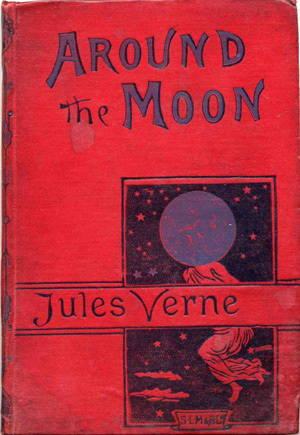 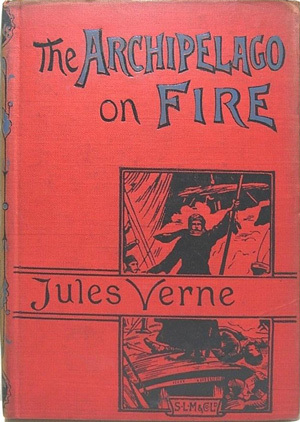 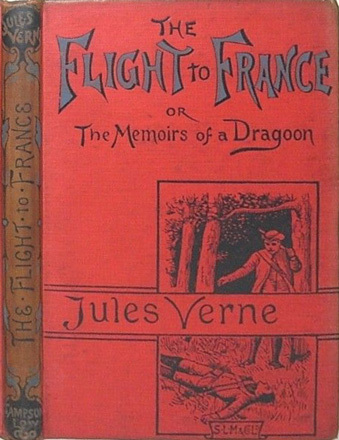 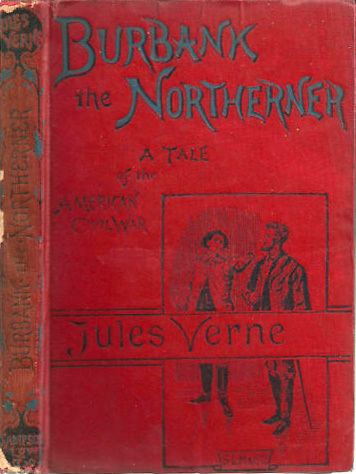 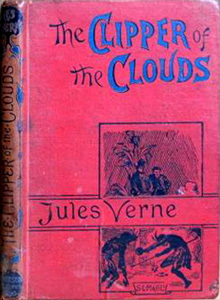 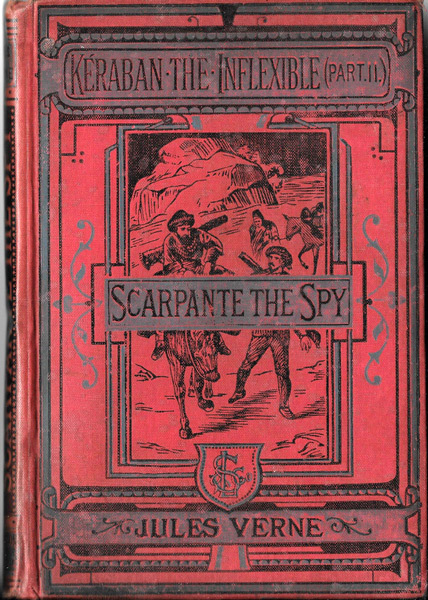 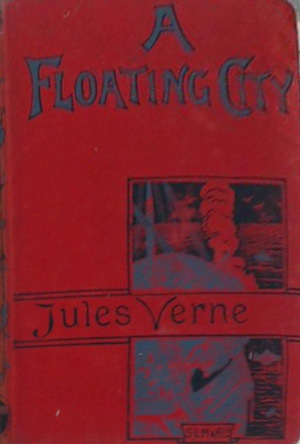 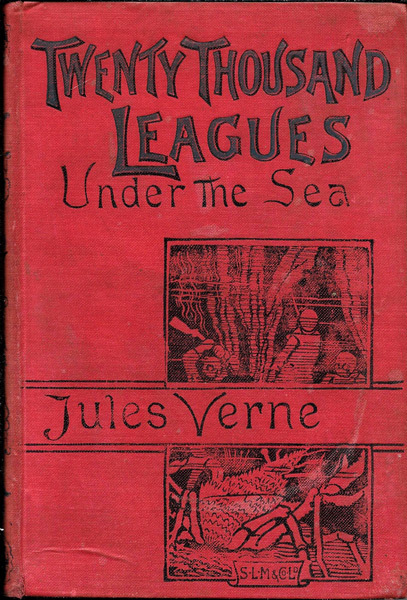 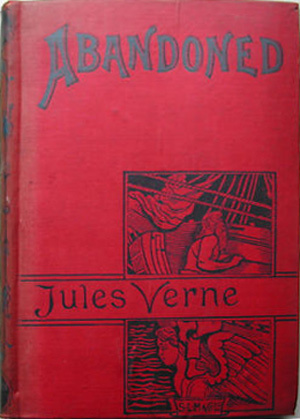 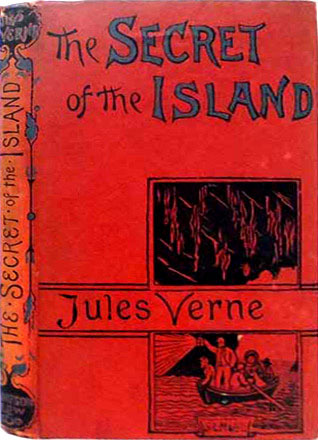 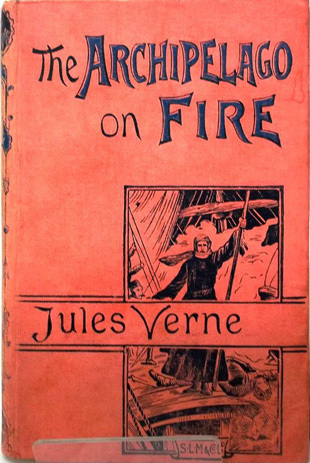 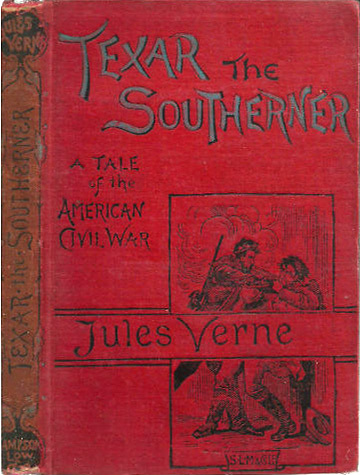 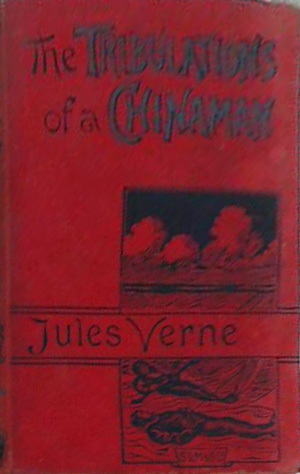 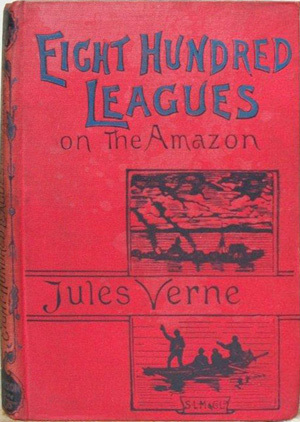 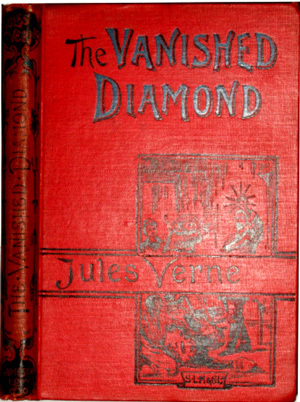 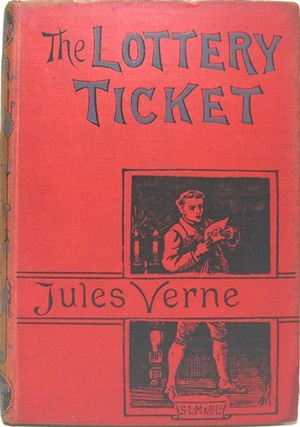 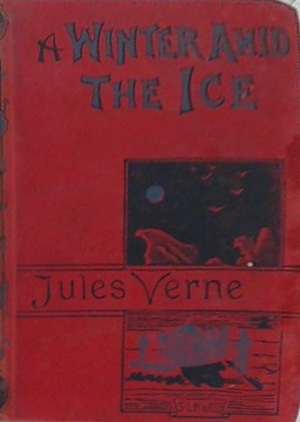 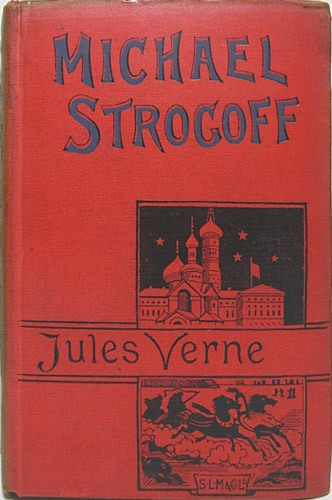 In each case, the image on the cover was exactly the same, except the banner across the middle of the image said "Jules Verne" for style 1 and had part of the title for style 2! 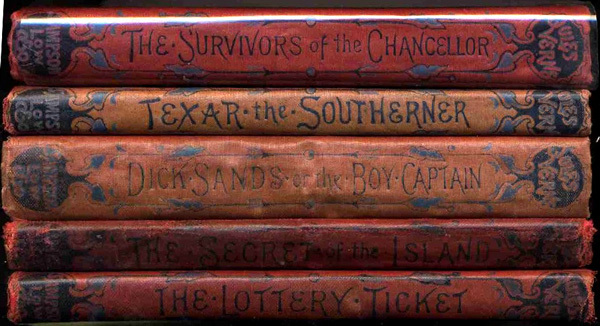 The contents of the books with 2 different cover styles, appear to have the exact same publishing date printed on the title page. 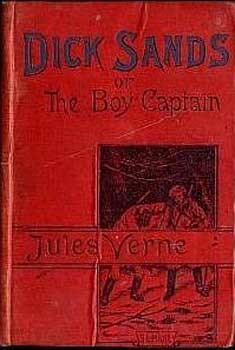 Is it possible that one style was a more expensive volume? 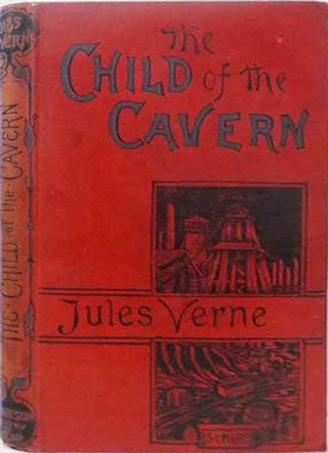 The books with "Cover style plain" sometimes, over time, seem to aquire a shiny appearance. 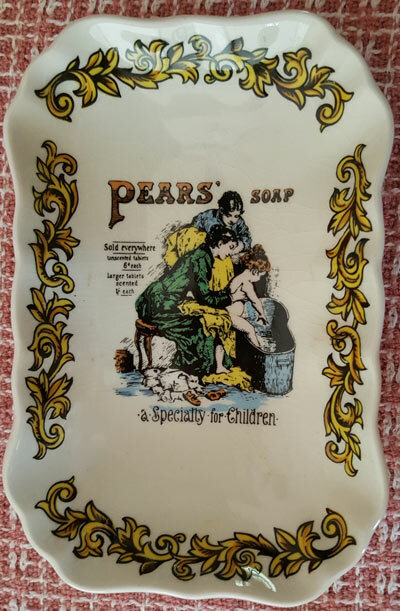 I believe they start off with a "linen, textured, finish". 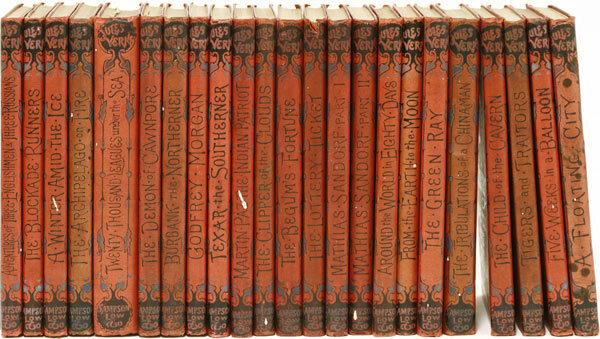 The books with "Cover style banner" do not seem to turn shiny, and were published in a "linen, textured, finish". 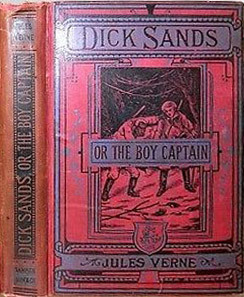 NOTE: Pears editions are ALWAYS red. 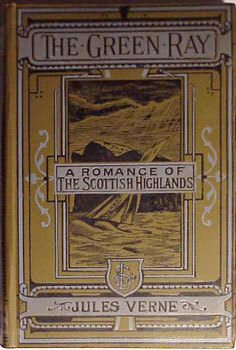 If you see a volume with gilt on the cover, then it is NOT a pears edition (no ad on the rear cover). 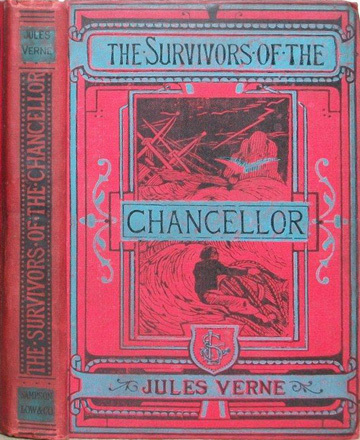 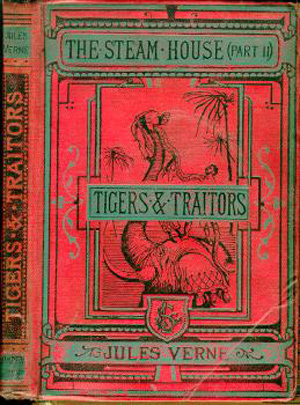 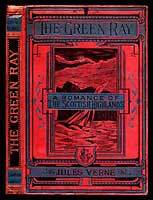 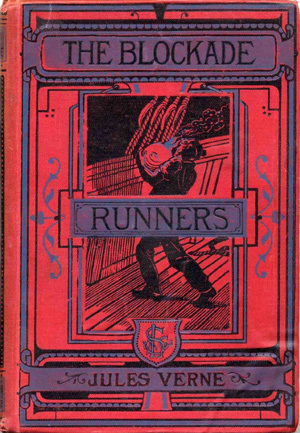 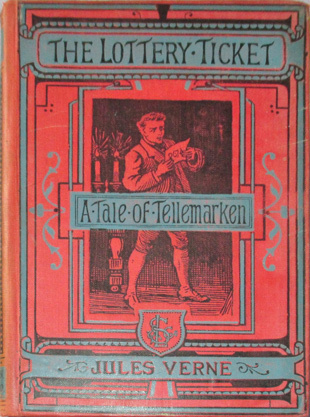 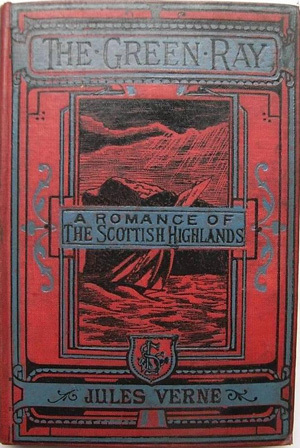 Cover style banner: If you see a volume bound in another colour, then it is NOT a pears edition (no ad on the rear cover). 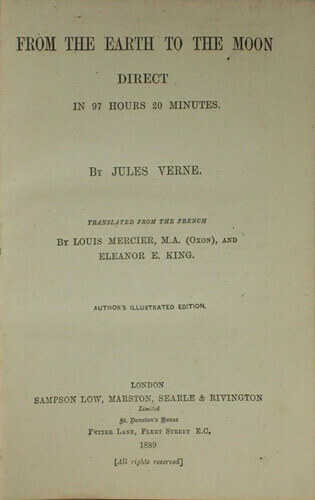 "New and Cheaper Edition" : Is this a later printing of Pears? 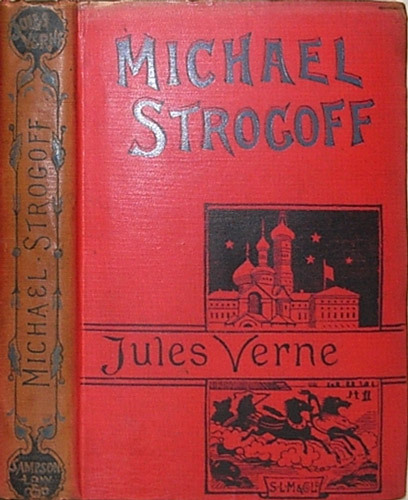 Were both style covers available for purchase at the same time? 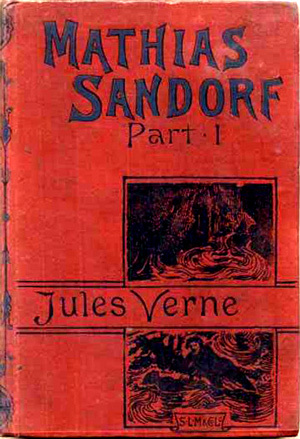 Many have been seen with the same date on the title page. 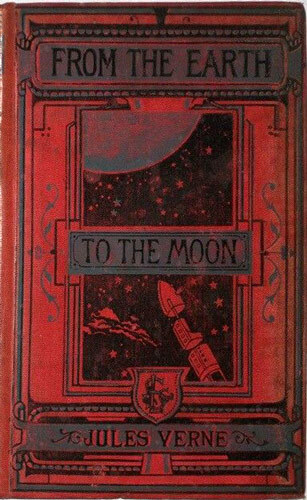 I think the Pears' Soap bindings, would be the last column "Coloured boards, or cloth"
A Sequel to "From the Earth to the Moon." 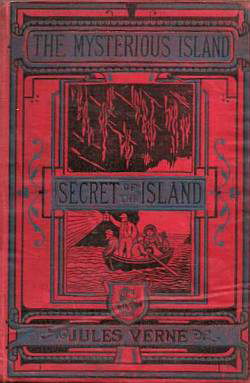 Mysterious Island has been added. 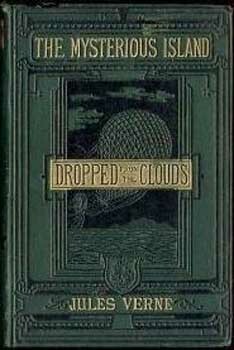 Not seen, but high probability it exists. 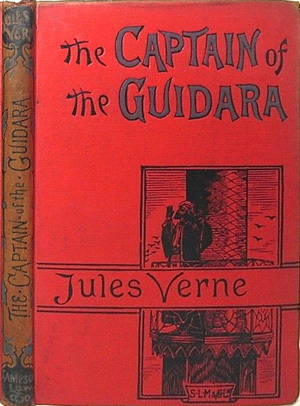 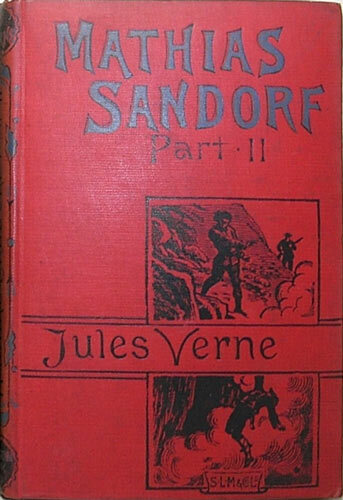 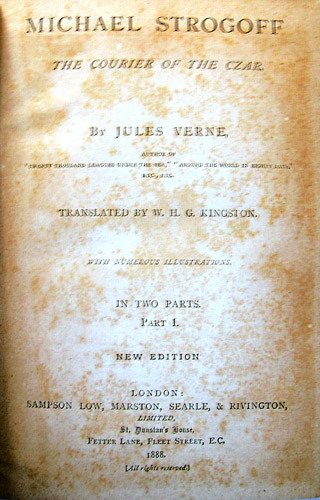 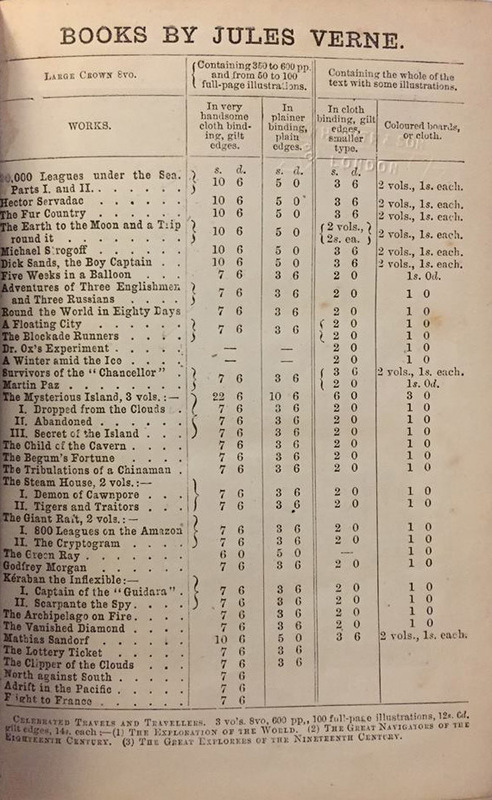 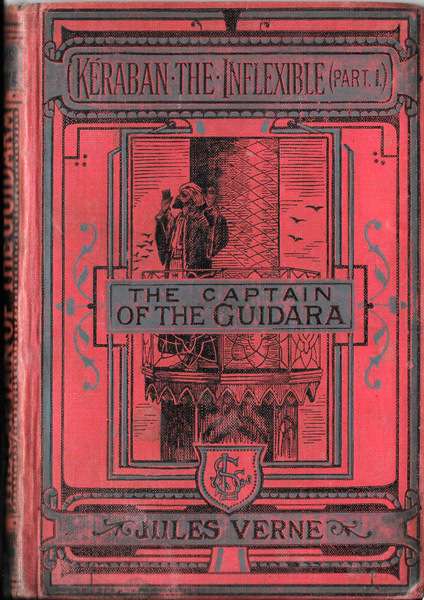 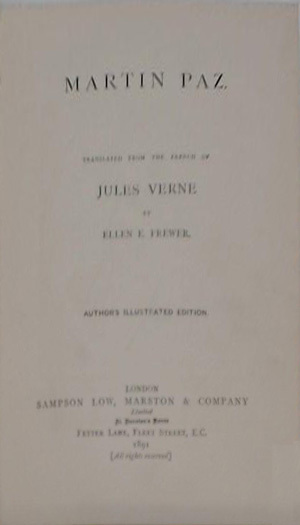 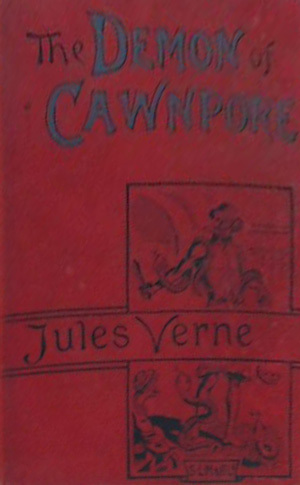 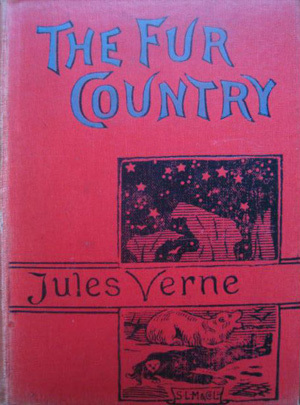 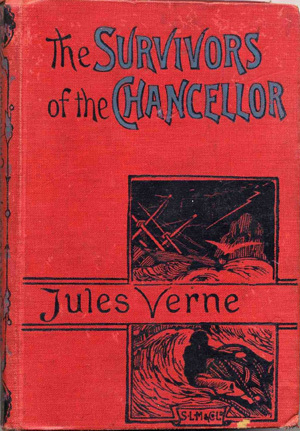 In the middle of the book, where part 2 starts, there is NO new title page, but there is a 1 page catalogue of "Books by Jules Verne", on the reverse of that is the Frontice for part 2, and then it starts "Chapter 1, The Indian Ocean"
Etc. 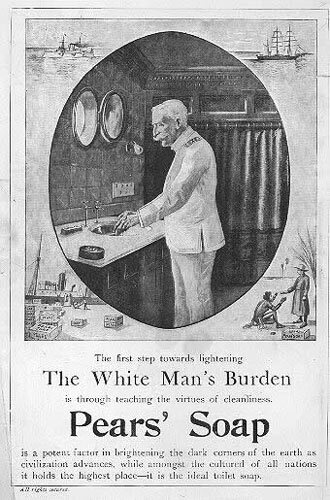 If you dig around a bit on the Internet you’ll encounter other such ads, some of which are, well, stunningly frank in their racism. 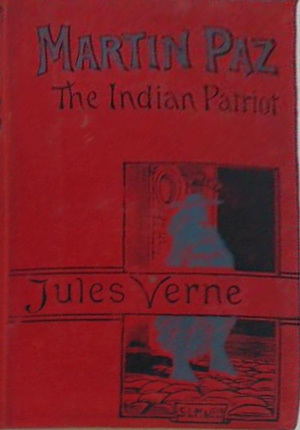 When my spouse teaches colonial and postcolonial Anglophone lit she often brings in copies of these things  which are now very collectible  to show her students, who are dumbfounded. 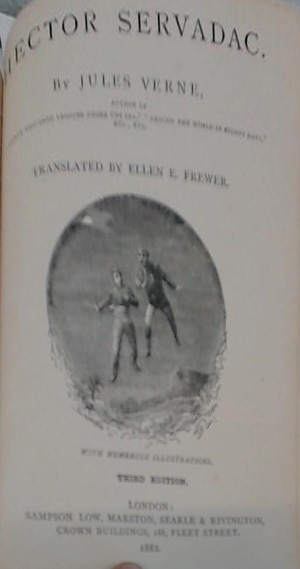 Ramamurthy, Anandi. 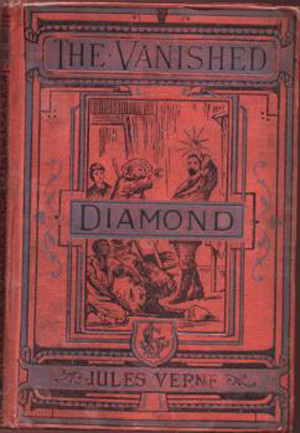 Imperial Persuaders: Images of Africa and Asia in British Advertising. 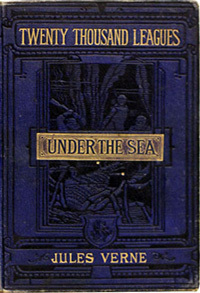 Manchester University Press, 2003. 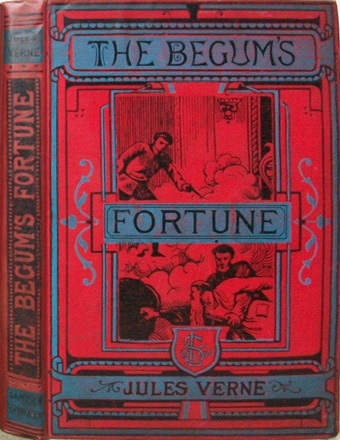 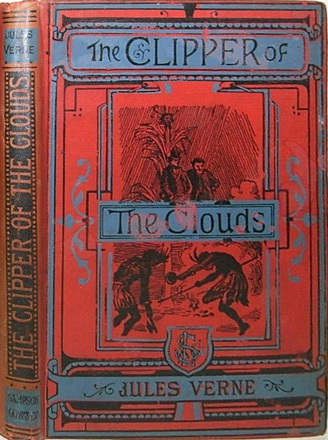 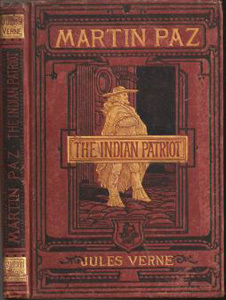 What I wonder is, do any of the Pears’ Verne editions include ads of this kind, and was the project to publish Verne with a Pears imprint part of a larger colonialist enterprise?